Description: Lonnie Hansen's hawks are beyond compare. 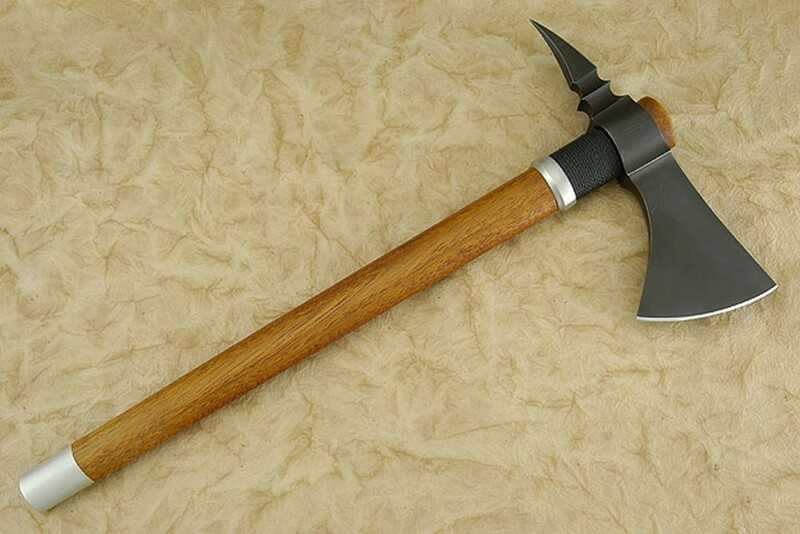 This tomahawk has a 52100 carbon steel blade with an antiqued patina finish. 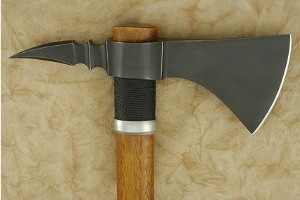 The length of the head is 10" and the cutting edge is 4" long. The braided and dyed synthetic sinew on the handle give the piece a nice, secure grip. The hickory haft has a nice warm tone and is well figured. 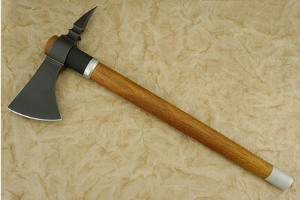 The spike head has been sculpted and is well weighted for chopping and feels great in the hand. 0.1552734375 0.078125 155.2734375 78.125 Trailer Started. 0.265625 0.1103515625 265.625 110.3515625 Trailer Completed.